New Delhi, March 18: Good news for job seekers! The Unique Identification Authority of India or UIDAI is hiring. 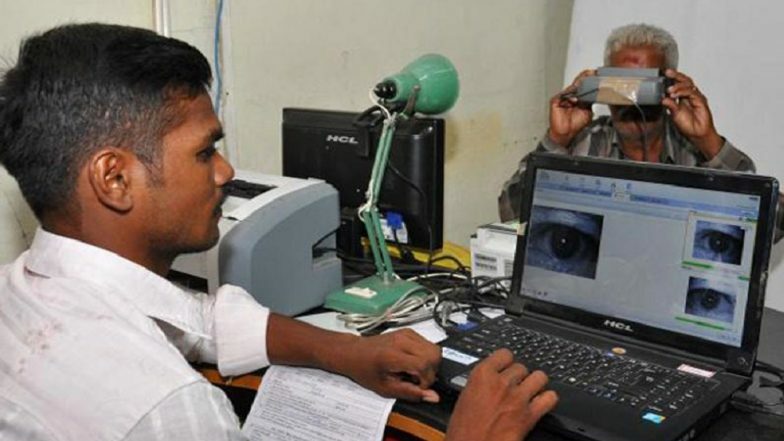 The government body which is responsible for implementing Aadhaar, the most successful biometric identification system, has opened up several positions in Assam's Guwahati. Candidates for the various roles will be employed by NISG (National Institute for Smart Government) for the Aadhaar Project. UIDAI Is Hiring! Apply for Various Technical Job Post Online. UIDAI tweeted job posters like Assistant Manager- Compliance & Technical, Assistant Manager- legal, Manager- IEC, Assistant Manager and Project manager for the regional office in Guwahati. Interested candidates may see the job description and apply from the Naukri and Linkedin. UIDAI Issues New Aadhaar Rules, Says 'Businesses Organisations Need to Pay Rs 20 for Using Aadhaar Services'. For Assistant Manager - Compliance & Technical, the educational qualification of the candidate should be B.Tech/ MBA. The person should have a minimum experience of two years. The selected candidates will have to sign a 2-year-contract to be employed with NISG for the Aadhaar Project. For Assistant Manager - Legal, experience in handling legal matters in PSU / Companies / Corporate Houses / Law Firms / Law Research Institution is required. The candidate should be LLB with at least 2 years of experience. Hacking Aadhaar Website uidai.gov.in Will Land You in Jail For Ten Years. For this position, experience in preparing press notes, social marketing, editing in-house newsletters, IEC Campaign, Public relations, Creative Designing, and Production of POP material is needed. The desired candidate should be BE/B Tech/MCA/BCA/BBA/BSC/ (computers) with Diploma in DOEACC/ Systems Development / GNIIT. The person should be experienced in managing IT software and Hardware platform support. For Project Manager, the candidate should have experience in government set up in Project Management or executing business. The job location will be at Guwahati, Assam and the candidate will have to sign a 2-year contract. Unique Identification Authority of India was established in 2009 by the government to authorise Aadhaar card to citizens based on their biometric and demographic data. The recent job opening will provide contractual jobs for all the job seekers who want to work for the government tech firm.